Abella's Memorial Service will be held on Thursday, December 19th at 11am. 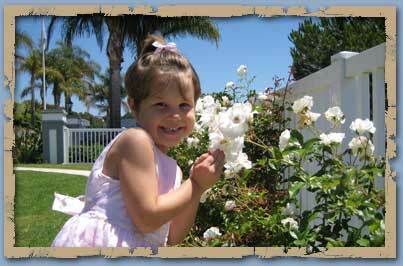 In lieu of flowers please consider donating to Abella's favorite charity ~ Soccer For Hope. Abella passed late last night in the comfort of our home. She was surrounded by our endearing love and fell asleep in peace. We miss her already and the emptiness we feel is irreplaceable. Abella's heroism inspired us daily and her spirit has left an eternal imprint in the hearts of so many. Abella is now reunited with her brother Hudson and their presence will forever be remembered. We will soon post information for her memorial service. Abella has spent 42 days in the ICU and is still very sick and very fragile. We put her on dialysis for 10 days to remove the excess fluid she was retaining and it did help clear up her cloudy lungs allowing her to oxygenate without congestion. We tried to take her off the ventilator twice but her lungs didn't have enough strength to breathe without support. She needs a machine to breathe for her through a constant pressurized face mask called bi-pap. Her lungs are already compromised due to chemotherapy, radiation and multiple surgeries so its certainly been an uphill battle. With heavy hearts and great sadness beyond belief we have to accept that after seven courageous years of fighting cancer, Abella's precious body can not tolerate any further treatment. Her latest CT scan showed widespread progression of her disease and it is now time for Abella to come home from the hospital and rest. Her unconditional love and spirit has inspired us daily and Abella will continue to lead us in her journey that no child should ever have to face. Abella received her own stem cells back to help her bone marrow recover from the harsh chemo that wiped out all of her blood counts. The hospital collected these stem cells when she was just 4 years old and prior to all treatment so they are clean and undamaged. We hoped her counts would return within a few weeks and her immune system would be strong once again but that hasn't been the case. She was admitted for two weeks so we could manage her pain, cover her for infection and get the necessary blood product infusions. Some of her immune cells have returned but unfortunately her red blood cells and platelets are still sluggish after 47 days due to the incredibly toxic therapy. She was very upset about losing all of her hair for the third time but we've tried to reassure her that it was just one very strong round and it will start to grow back soon. We headed to Houston and Abella received her T-cell injection. These cells have been growing in the lab at Baylor for months, trained to find the cancer cells and then destroy. It took so many steps for Abella to get to this point between donating her T-cells back in June, chemotherapy, conditioning and infusions but all along the way our focus has been clear. We know this treatment can bring her into remission...we believe! Unfortunately because of her spinal compression she has become immobile and the nerve pain is not allowing her much movement of her arms or legs. Hopefully we'll quickly see response to this treatment and a few days of local radiation to her spine will relieve some of that pressure. We knew Abella could still have a reaction to the T-cells expanding in her lungs for up to 23 days and she wasn't out of the woods. Sadly, on Monday morning she told us she was having a hard time breathing. She went into respiratory distress and was unresponsive. We called 911 and an ambulance transported her to a local trauma Hospital that is affiliated with CHOC. They had to put her on a ventilator to help her breathe since the blood gases became incredibly high. Thankfully the emergency CT showed no bleeding or change in her brain which was one of our biggest fears. Abella is improving daily but slowly. She's still on a ventilator and the antibiotics are running their course. All tests have come back negative including blood infections, influenza, adenovirus, RSV, MRSA...everything. We are thinking positive that this reaction was caused by the T-cells doing their job and attacking the cancer. We shipped her blood samples to Baylor this week and their is still a significant amount of these T-cells still in her bloodstream. An MRI of her brain and c-spine showed stability which is a success and her team of docs are sort of relieved that she had this reaction even though it caused her little body such distress. Abella is so understanding and patient with all that has happened; we are so proud of her unwavering strength. We are taking one day at a time but anxious for her second T-cell injection to happen in a few weeks. After coming home from Houston we've faced a lot of issues and dealt with a lot of stress. Abella continued limping so to relieve the pain she received four intense, focused radiation treatments to her calf. She also started two daily oral chemo's and an antibody infusion every few weeks. However, Abella's neck pain has been persistent so we decided an MRI of her neck and spine was needed. Sadly she has a cervical spine fracture. The C5 disc in her neck has collapsed or disintegrated and is no longer visible on the scan. The lower disc is pressing out towards her spinal cord but she has no symptoms from it besides the severe pain. This is very dangerous because of the risks of falling and paralysis. We don't feel that reconstruction surgery should be done for a while because we need to keep her chemotherapy going; that's the bigger issue. She also had an echo and EKG of her heart and it showed a large amount of fluid surrounding her heart. The function is still working very well but we can't proceed with treatment until it's removed. Abella had a pericardiocentesis - where they aspirated the fluid from the sac around her heart. They removed 5 oz which is a normal amount for this procedure. Everything went very well and the best news...there were NO tumor cells found in the fluid. This build up is most likely from the proton radiation and probably couldn't drain due to the postoperative lymphatic obstruction in her chest. Lastly, Abella's total body MRI was not what we hoped for. She has progressive disease and a few new lesions. We have a lot to weigh out since the next part of treatment will be high dose chemotherapy. This will be very hard on her little body especially since she is already weak and fragile. We cannot believe how fast the cancer has grown in the last few weeks; it's incredibly aggressive. We're still taking her out and enjoying precious moments together because keeping this girl home is impossible. She's still in good spirits and looking forward to her 11th Birthday this Saturday. Abella completed her 25 days of proton radiation therapy at MD Anderson Cancer Center. During that time she also received a weekly dose of chemotherapy to help fight off any other cells lingering in her body. We were warned of the terrible side effects that could effect her lungs, esophagus, and throat but thankfully she only had minor issues. However, recently Abella started complaining of pain in her right lateral calf so an ultrasound confirmed there is a soft tissue mass coming from the fibula. We needed to have a full body MRI to find out the extent of disease and sadly there is cancer in multiple areas now. Very small spots showed up on her ribs, shoulder, vertebrae, femur and in her lungs. We are just distraught having to share this news. She is currently very weak and an echocardiogram showed some fluid around her heart. She cannot get high dose chemo for a few more weeks since the effects of radiation to her lungs are still active. We just started her on a bi-monthly chemotherapy and two oral kinase inhibitor drugs that she will take daily to immediately stop the tumors from growing. We are also starting radiation to the tumor in her calf to help relieve the pain since her mobility is limited. Our game plan is still the same with enrolling her in the T-Cell clinical trial at Baylor next month. Abella came through her thoracotomy surgery better than expected and recovered in the pediatric observation unit for just three nights. The surgeon was not able to remove the entire tumor due to its critical location but got all that he could. It was too risky to keep slicing near the aortic arch and her safe healing is more important than any risk. She did have a few issues with her chest tube not draining, possibly due to a clot, so we removed it. She did have some post-operative fluid in her lungs which kept us in Manhattan for a few extra days but thankfully it improved and we were cleared to fly home. We now need the proton beam radiation and further chemotherapy to do their part in curing her body from this recurrent disease. Abella had an MRI of her whole body last week and a CT scan confirmed her cancer has already returned. There is a 7cm tumor sitting in the middle of her lungs; lodged in a very critical area. It is so difficult for us to understand since she finished her 10th round of chemo just 2 weeks ago. Abella is scheduled for surgery in New York at Memorial Sloan-Kettering next Wednesday. Our little girl will be in the absolute best hands and her surgeon is hoping to get most of this tumor out. There is always a chance it could be a different kind of cancer than adrenal cortical carcinoma but highly unlikely. We're grateful that surgery is a possibility given its location. We are exploring many options for her follow up treatment from proton therapy combined with chemotherapy or metabolic agents that are part of clinical trials. Abella is strong and ready for this next phase. She is a fighter but we are just devastated for our little girl. This is the 5th time she has been diagnosed with cancer. We value your ongoing support for Abella and our family! Abella has been feeling good and handled these last few rounds of chemotherapy very well. She has experienced some nausea, dizziness and headaches but mostly during the week of treatment. Abella's hair is now growing back and she just loves styling it! She will have her tenth and final round of chemotherapy next week and we are so anxious for her to be finished. Since last July she has been given eight different kinds of intensive chemotherapy to kill off every last cancer cell in her body. No one knows exactly which drug or combination of drugs works for her rare tumor but hopefully the stubborn, lingering cells have finally been taken care of. At the end of April she will have a total body MRI to make sure her body is cancer free or NERD (no evidence of residual disease). Our wish is this adrenal cortical carcinoma tumor that Abella has been fighting since she was six years old - will never return! Abella has finished the induction stage of her treatment. She has completed six courses of high dose, inpatient chemotherapy and next week she will start the consolidation phase. These next four rounds will use new drugs to combat any residual microcells and should be much easier on her little body. The last few months have been quite a challenge for Abella. Unfortunately she picked up a virus, developed strep throat, had a rare reaction the antibiotic and was wiped out from having low blood counts. The holidays were mostly filled with rest but thankfully her body was strong enough to recover completely. She is doing very well at the moment and back to her old self: kicking a soccer ball, telling jokes, singing, dancing & appreciating all that she has. The best news is that her recent CT scan showed her lungs and abdomen are completely clear of any cancerous tumors! This is so encouraging for everyone involved in her care and we needed this validation as we move forward with the next phase of her treatment. Abella's surgery was a success! She endured the 7 1/2 hour procedure without any major complications. Her surgeon was able to remove the two lung tumors very carefully since one was stuck to her pulmonary artery and the other was on her trachea (windpipe). As expected, the left lower lobe was removed so she will lose 20% of her oxygen capacity. It shouldn't hold her back from playing any sports once she's fully recovered. It hasn't been easy for Abella but she has tolerated everything much better than we ever expected. The surgery team really pushed her to get out of bed, walk down the hall, eat and do her breathing exercises daily. This helped the upper left lobe expand and excrete the extra fluid in her lung. They would rather give Abella more pain meds and have her active than to lay still in bed and risk getting pneumonia. We were in such good hands at MSKCC and are so thankful for their knowledge and expertise. The pathology showed that there was a very significant response to treatment and all lymphnodes were negative. Abella will have a few more cycles of the same chemotherapy since some rare viable cells were seen in the very center of the mass. In essence, they were walled off by the fibrosis and scarring tumor cells. Abella is still very fragile but that's expected after such an invasive surgery. She still needs her narcotic pain meds, physical therapy and assistance with getting around but with time she'll get back in shape. She was cleared to fly home after the hurricane of the century that hit NYC so we are happy to now be back home in familiar surroundings. When it rains...it pours. Abella has handled four rounds of intense chemotherapy like a champ. She is still able to do a lot of fun activities and really helped us prepare for our annual Evening of Hope; which was a huge success for CHLA & CHOC! Here is a touching article that came out last Friday: Transformed Family Persists. Recently Abella had a CT of her lungs and the two tumors have shrunk a little. We are so happy and will now move forward with surgery to get her back into minimal disease. It is so important that the tumors are responding to this treatment and knowing that she has sacrificed so much for a reason. Not many children respond to this chemo regiment with stage IV, metastatic disease. We are truly grateful. Surgery is scheduled for Monday, October 22nd at Memorial Sloan Kettering in NYC. We feel this hospital is the best choice for Abella since it is still considered a high risk surgery. We will let her recover for a few weeks and then resume chemo to kill off the rest of the microcells. Abella just completed her 3rd round of inpatient chemotherapy. She is handling all of her treatment incredibly well and has been so corporative in taking all of her medicine. She had an MRI of her lungs last week and the two tumors are stable; they haven't changed in size or intensity. This means that the cancer is responding and thankfully hasn't grown. We would like to see the tumors shrink so that if needed, surgery will be less risky. We are not sure how many rounds of chemo she will have, possibly 8 rounds, and when she will have surgery. One of the biggest challenges Abella faced so far was losing her hair. She is completely bald and really had a hard time when it fell out in chunks. This is the second time Abella has lost her hair from chemo and it is so emotionally challenging when you are 10 years old than when you are 4. She is also more conscious of people staring at her but she prefers to wear soft head scarves than itchy wigs. For now, we are just focused on getting through each round, managing the side effects and making memories in between. Abella completed her first round of chemotherapy on Friday like a champion! The team at CHLA did an outstanding job in managing the side effects which made our 5 day hospital stay so much smoother. We hope that Abella's blood counts don't drop too fast so that we can enjoy our time together at home. Abella's spirits are still good and she is looking forward to spending time in familiar surroundings. As always Abella has shown great strength during her biopsy and central line placement. After two days of recovering Abella was happy to come home to spend some time in familiar surroundings. Unfortunately the biopsy pathology report confirmed that the two new tumors on her windpipe and in her lung are the same tumors that she has been fighting for the last two years - Adrenal Cortical Carcinoma. We are immediately starting a very aggressive chemo regiment on Monday which will keep her hospitalized for most of the time. We are preparing ourselves for a long, harsh fight to cure our princess and hope we will be able to manage the toxic side effects. Last week Abella had a routine MRI of her whole body and sadly two cancerous tumors were found in her lung. We are devastated. She will have a biopsy on Tuesday afternoon to determine the exact diagnosis. Abella's team of physicians at Children's Hospital Los Angeles want to start aggressive chemotherapy immediately to shrink the cancerous tumors. Since they are located in a very risky area it would be a radical surgical procedure and not an option at this time. She is entirely healthy and in good spirits so far. Thank you all for your love and support for our family during this difficult time. Abella has been feeling good and her energy has much improved. She had an MRI of her entire body including brain, abdomen, lungs and everything was cancer free! She also had a few issues with her medicine that caused her pain and nausea so we again lowered her chemo dose to help her body recover. She's not completely symptom free but is still able to participate in fun after school activities - including soccer. Unfortunately she's missed some school each week due to her appointments so has fallen behind in a few subjects. She works so hard to catch up and her tutor has been a big help lately. On a separate note, Abella got to see a screening of the movie she was in and just loved watching herself and the dear friends she made on the big screen. The film is called Playing The Field and will premier this fall. What a memorable experience that was for our entire family! Abella has been on oral chemotherapy for two and a half months now and has experienced a few bumps along the way. She takes it three times everyday and we have continued to increase her dose at a very slow pace since this drug can accumulate in her system. She reached the halfway point of where they wanted her dose to be but she just couldnďż˝t handle it. She was having side-effects that caused her extreme fatigue, cramping and nausea. We ended up stopping her chemo for a week until her body recovered. Abella has since been put back on her chemo at a much lower dose and we will soon increase very slowly. We donďż˝t anticipate reaching the dose she was previously on since her little body cannot handle it. Every kid metabolized this drug differently and since Abella is such an active girl she doesnďż˝t need as much for it to be effective. We measured the chemo level in her blood prior to stopping and thankfully she is exactly where they wanted her to be and only has to take half as much. Recently Abella was also put on daily hydrocortisone supplements. This replacement therapy is helping her body produce sufficient amounts of steroid hormones since her adrenal glands are not able to. So she now takes medicine 8 times a day and itďż˝s definitely a lot for her. She does complain some days but is usually really good about accepting the situationďż˝including having her blood drawn every 2 weeks. What a pillar of strength she is; we are so in awe. Abella has completed all of her baseline studies which have included a total body MRI with STIR and diffusion (to look more closely at her bones for disease), a multitude of labs and clinic visits. All of her recent tests have come back with great results so she was cleared to begin treatment. She started her chemotherapy at a very low dose and will increase it weekly until she reaches a level that her body can tolerate without toxicity. She will soon take it at home three times a day for a year or more. Hopefully, this will be something we just get used to and it will be part of our daily routine. These past few weeks have been very challenging for us as we try to grasp another cancer diagnosis. Abella has earned so much respect in our eyes and has done all that we have asked of her. Sheďż˝s had so many battles to overcome yet has accepted these trials that no parent should have to ask of their child with such grace. We are so proud of our sweet girl. Abella went into surgery without shedding one tear. She told us she wasnďż˝t scared and just wanted to get it over with. She has risen above us and really accepted this latest challenge with such grace. Her surgery was a success and the 1 cm mass was entirely removed. It was able to be done laparoscopically, which is minimally invasive, and the surgeon used staples to seal her lung back together. They were worried about her having a pneumothorax (collapsed lung) and the post-op x-rays both showed no signs. She stayed inpatient for only one night and was strong enough to come home having only minor pain issuesďż˝not surprising. We did receive the final pathology and it is not good news. It is the same tumor she was diagnosed with 15 months ago; Adrenal Cortical Carcinoma. We are heartbroken. There was a very slim chance this could have been something else and that was what we hoped for. Sadly, we now face a new dilemma in trying to find the most promising protocol for this adult tumor rarely seen in children. Abella has no evidence of disease so she is starting out with the best possible chances. We have physicians all across the country searching for the most proven treatment options since it has metastasized. We will have them collaborate to find a way to heal our precious little sunshine. Abella had a great summer vacation. She was in a Dance Recital, a Fashion Show, a Family Wedding, got to travel to the Bahamas & Las Vegas and got to see Big Time Rush in concert. So much to do so little time is Abella's motto. Along with all of the fun she had a clean abdominal ultrasound and a clean mri of her brain and spine. We are truly grateful. However, we did receive some very sad news today that Abella's lung has a 1 cm mass and it will need to be surgically removed. It was found by chance on the mri of her spine so we went in for more specific tests. Monday morning Abella is scheduled to have a thoracoscopic wedge resection of the lesion in her left lung and will be inpatient for a few days. Please know that Abella is still in good spirits and isnďż˝t too worried about it just yet. This afternoon we sat down with her brain tumor physician, who she loves and trusts, and he explained to her what was found. He told her that the mass will need to be taken out and sheďż˝ll need to stay in the hospital for a few days. Abellaďż˝s comment to him was ďż˝well, I better go home and start packingďż˝. She is incredibly strong and is dealing with this latest challenge with such acceptance. We are having a hard time understanding why Abella has to have yet another surgery and face another trial. We are so Blessed in so many ways. Abella had an ultrasound of her abdomen and pelvis and both were clean! She also had an MRI of her brain and it too showed no signs of cancer. Abella was able to have this 45 minute scan without general anesthesia for the very first time. She was nervous and tearful at first since she wasnďż˝t sure what to expect. A Child Life specialist from the hospital showed Abella some photos, was able to talk her through these fears and she went through the entire scan without stopping once. Every four months she is scheduled to have a brain MRI and taking this very mature step will make the entire process so much easier on her little body. We are so thankful for Abellaďż˝s recent scans that ALL came back clean. What a great way to start the New Year!!! 2010 was a rollercoaster filled with times of great joy and sadness. Our wish for this year is simply put: Health. We want nothing more than for our sweet girl to remain free of sickness and have the opportunity to enjoy her life. We are making some adjustments in her follow up appointments to limit how often she goes to the Childrenďż˝s Hospital. Each time it is very difficult for her emotionally and causes great anxiety. What Abella is most nervous about is how she feels after being sedated for an MRI. She has recently matured and moved past the fear of needles but we hope she will soon be able to hold still long enough for her scans without anesthesia. This will be a huge challenge for Abella since some scans are 2 hours long. But in the long run it will benefit her tremendously both physically and psychologically. Happiness is a journey, not a destination. Abella is continuing to thrive and rebound from her latest trial. Her body has recovered so quickly and adjusted so well itďż˝s incredible. We have kept a close eye on Abella and within the past month she has had an MRI/MRS & DTI of her brain, a MRI of her abdomen & pelvis, a CT of her lungs and tons of lab work. All have come back with great results - what a gift! Abella is now in the 3rd grade and getting used to a regular schedule again. She is also back to hip hop, club soccer, gymnastics, Browniesďż˝you name it and this girl will want to do it. Recently Abella turned eight and on September 2nd Hudson would have turned six. Time hasnďż˝t helped much to erase our sadness and it seems we miss him more with each coming day. Abella cries when we go to the cemetery now and understands that she wonďż˝t see him until she goes to heaven. When we released balloons up to Hudson for his birthday, she asked if he really did turn six or if he will be three forever? Abellaďż˝s understanding of life and death is far beyond what an eight year old should know. This is something that we cannot shield her from and are heartbroken not to be able to take away her pain. We try to remind Abella that we have to move on and find happiness everyday so she often remembers the saying Live, Laugh, Love - because that is how we must continue. Abella is continuing to find strength everyday. She has been very ambitious to get back to her regular activities and feels like she has missed a lot of her summer already. She started out by swimming and just today she went back to soccer practice for the first time. She was so excited to be back on the fieldďż˝running and playing like she used to. We are so amazed by her ability to forget she just had a major surgery and can get on with life. Right now, Abella is mostly concerned with her scar. This visual reminder is very hard for her to grasp and she doesnďż˝t want us to draw attention to it because it makes her feel uncomfortable. Emotionally she is adjusting to this new cancer diagnosis quite well and has been such a good sport about all the tests she has had this past month. Abellaďż˝s Day 30 post surgery blood work so far has returned to their normal levels. We have been collaborating with all of Abellaďż˝s physicians to come up with a complicated schedule of surveillance that will keep her safe. Being able to catch these tumors in the early stages has saved Abellaďż˝s lifeďż˝more than once. Her ability to fight off tumor cells is compromised so we are adding more labs and using advanced scans to catch cancer before it is able to cause too much damage. We find it hard to believe that it was only 4 weeks ago that she had surgery to remove the cancerous tumor because it feels like it was so much longer. We donďż˝t go back to the hospital for another 3 weeks so will begin our fun filled summer immediately. Abella came out of the hospital very weak and with very little appetite. She was unable to walk on her own and was hunched over afraid to straighten up for many days post surgery. She had the sensation that she could rip open the wound and was worried about being in severe pain. She is still very protective of the 8 inch scar that stretches across her abdomen but she has made so much progress this week. Abella still has her other adrenal gland, which sits over her right kidney, and it will continue to produce several hormones that affect her blood pressure, blood sugar levels, growth and will regulate her bodyďż˝s response to stress. She wonďż˝t need any supplements at this time to replace the hormones that are lost by her left adrenal gland that was entirely removed with the tumor. On Tuesday Abella had a full body Bone Scan and it was all clear. We are so grateful that the tumor cells have not spread to her bones, organs or lymph nodes. For now she has completed the standard evaluation of disease extent and has no evidence of cancer in her body. We decided to enroll her in an International study where researchers are hoping to find more answers for ACC. The study only requires some extra blood work, an echocardiogram and a biopsy of a few other lymph nodes which was already done during her initial surgery. ACC is a very rare cancerous tumor with less than 2 dozen cases in the entire US each year. We hope that Abellaďż˝s participation will help families in the future have more answers. We feel like Abella has dodged a bullet since she wonďż˝t need any further treatment. She will be monitored very closely with routine ultrasounds and blood work just like we do with her brain tumor surveillance. As for us, we still canďż˝t believe we are dealing with another cancer diagnosis. It just seems like we have had our share of illnesses and we hoped our lives would continue to be filled with happiness and good health. We havenďż˝t allowed ourselves to get too high or too low, too happy or too sad because we just canďż˝t grasp what is really going on. There is a lot of confusion and disbelief that this could happen to any family, let alone ours. We have always recognized that everyone has challenges to deal with in life but we just wish our innocent daughter wasnďż˝t handed such a huge burden. She is such a pleasure to be around and brings joy & laughter to everyone she encounters. Abella has a purpose on this Earth that is far beyond our understanding; we just wish her life wasnďż˝t plagued with cancer and all of the screenings she will continue to endure. Abella came out of surgery on Tuesday afternoon feeling considerably good. She was talkative, had a popsicle and watched tv in the recovery area for a few hours. We were moved to our room where she slept through the night and most of the day on Wednesday. She was having a lot of nausea after surgery and couldn't even keep down water. The straining and pressure irritated her surgery site and she was in a lot of pain. We added a narcotic and increased the dose of her continuously infusing epidural. Today she really had a progressive day by sitting up in a chair and eating some solid food. Most importantly, the pathology results came in this afternoon and confirmed that the cancerous tumor, or Adrenocortical Carcinoma, has not spread to the lymph nodes. We are truly, truly grateful for this news. Other blood tests will be needed at day 7 & 30 after surgery to know if any residual disease remains. We are hopeful the surgeon removed everything. If the cancer had spread to the lymph nodes it would mean months of chemotherapy. As always, we are confirming the diagnosis with many leading pediatric specialists in the solid tumor field nationwide. We have always taken in everyone's advice and have made sure that most doctors agree on what is best for our children. We hope Abella will get out of the hospital this weekend so she can rest up before heading back up to CHLA for her bone scan, CT and labs on Tuesday. Abella had surgery today at CHLA to completely remove the cancerous tumor; just 24 hours after we were given the sad news. We were told this morning before surgery that she could possibly have her left kidney or some of her pancreas removed if the tumor had invaded these areas. Thankfully the tumor was encapsulated and her organs were spared. They did remove some of the lymph nodes on the kidney to see if they are clear of cancer cells. It is our hope that the pathology will come back with good news and chemotherapy will not be needed. There are not a lot of options to treat this tumor. How the tumor is presented (symptoms) and the surgery itself are the most important components of a cure. Thanks again for sending us love and light. Lately, our time has been spent enjoying things that are truly important to us. We are focusing on what is positive in our lives: health, fundraising, togetherness and fulfillment. Life is good. And when Life is good, time passes far too quickly. Our schedules are filled and our time is precious so we really try to make choices wisely. Sweet Abella is doing so fantastic in everything she is involved with. Her effort and dedication to put her best foot forward is something so remarkable. She is excelling at school and far surpassing our expectations. When she was diagnosed in preschool, and missed so much school for the next few years, we hoped she would one day catch up and score average in academics. But Abella is so ambitious and her hard work is finally paying off: she is now getting A's. Her passion and enthusiasm is also shown by her desire to be as busy as possible. Each week her after school activities consist of club soccer, gymnastics, hip hop, choir and even Girl Scouts (or Brownies, if you will). For as much as she is involved with she still asks "when can I join Taekwondo, get a talent agent, go to the American Girl Store?" We so admire her desire to experience the life to the limits. Abella's happiness is our priority and she realizes how truly special she is to us. She tells us that she "was put on this earth to make us happy and laugh a lot". We agree, each time she reminds us, and smother her with as much LOVE as humanly possible. Looking back, 2009 was very good to us. We actually went through an entire year without an inpatient hospital stay; for this we are more than grateful. Abella is doing so well and really enjoyed the Holiday Season. Christmas is her favorite time of year because she loves being with her family, decorating, shopping, caroling and most of all gift-giving. She loves to give presents that she has made and wrapped all by herself to friends and family. We have filled our holiday schedule with fun and exciting festivities for Abella. She was in a gymnastics show, was co-pilot in the Goodyear Blimp, participated in a baseball clinic with the pro's at Angel's Stadium and even walked on the set for the FOX NFL Sunday show. We are so proud each time we see her running and jumping because we know it all could have been taken away after such an invasive brain surgery. We look at her everyday and know that she is a walking miracle for all that she has overcome. We don't see any psychological or physical impacts from Abella's treatment or has it negatively affected her quality of life. She was diagnosed over two and a half years ago with two different types of brain cancer and she is one of the most well adjusted little girls you will ever meet. When she struggles to understand new concepts in school we often remind her that she has learned more life lessons than all of her classmates combined. She would rather just be a "normal" seven year-old but sadly it isn't a choice. Cancer often fills our minds with both sadness and hope since we have lost one of our children yet have one survivor. We still miss our dear Hudson as much as we did the day he transitioned into his next Life. Each year our tree will be filled with his baby ornaments, angel ornaments and lots of bird ornaments to remind us of the freedom he has been given. Today would have been Hudson 's 5th Birthday. We still mourn the loss of his loving and gentle ways but his enduring presence remains with us daily. Abella is doing so well and within the last month had a good Brain MRI, good blood work results and good ultrasounds. She still despises going in for these tests but a reward of a new toy always helps her manage to get through them. Abella talks about her own brain tumor and many times compares it to Hudson 's brain tumor. We tell her that "yes, you and your brother had the same kind of cancer but Hudson 's was much bigger and more aggressive than yours." She said "I wish I had the bigger one so that Hudson would still be here with us". This clearly shows how much she whole-heartedly loved her brother and how selfless she is. Abella will start a new school next week and is going into the 2nd grade. This summer has treated us with important family time and we are truly thankful for such a bonding experience. Abella is doing GREAT and for that we are truly, truly thankful. We have continued with some important screening; since she is predisposed to developing cancer. She has had an abdominal and pelvic ultrasound, a physical and an MRI/MRS of her brain. ALL the results came back good and we are so proud of our sweet princess Abella. She still likes to include Hudson everyday and just loves it when we tell her stories of how much he adored his big sissy. She grins from ear to ear, in a coy fashion, remembering these special moments together with him. Her concept of where he is now is age appropriate but also simple & pure. She recently commented "I think Hudson has Golden Wings and a Gold Halo. But does Hudson have to wear a dress?" Abella recently accepted an award, in honor of Hudson and his courageous fight against cancer at the Mia Hamm and Nomar Garciaparra Celebrity Soccer Challenge. She was so proud to hold up the award, be cheered by a few thousand, all the while knowing she was honoring her brother. It will definitely be one of our family's most memorable and treasured experiences. We are surrounded by certain dates that have changed our lives dramatically. We have recently passed the two year anniversary of when Abella was first diagnosed and the one year of when Hudson was diagnosed with MDS - which meant searching for a Bone Marrow Donor to save his life. These days are so clear in our minds of how we were guided somewhere we didn't want to be. We often evaluate our lives and wonder why our family has been "chosen". I don't think we yet understand the complexity of our situation - a road so twisted and toiled. I don't know if we ever will understand it or grasp the reality of what really happened over the past 3 1/2 years. Simply put, we have just managed to get through it and we must now learn to accept our situation for what it is AND for what it isn't. Today will forever be remembered as the day that Hudson became an ^Angel^. One year ago our precious boy was here with us, fighting to hold on for his dear life. His time here with us was complete but his spirit remains in all of our hearts. Nothing can replace him and we will never forget his sweet smile & silly ways. Hudson 's fight against cancer has touched so many lives and it is our greatest hope, that through the efforts of so many enduring researchers, a total cure will someday be found. We are determined to raise funds so that no child will ever have to fight the lion's share as our Hudson did. Many times we focus on what's missing in our lives instead of giving thanks for what we have. Wanting to focus on the past and not the present is a mental habit that we are all susceptible to because our lives have been forever shifted by Hudson 's absence. We have been given so many blessings including the gift of health, Family, Friends and so on. Remembering to be grateful is often easier said than done. But our daily reminder...is Abella. The effort we put into giving our family a positive daily outlook is tremendous. The benefits from these surroundings are substantial yet in turn tiring. Summed up, this relays the physical aftermath of highs and lows we have faced throughout this past year. As we remember our courageous Hudson today, we will spend Family time together, honoring his legacy. We are happy to report that Abella's MRI was stable and unchanged from the previous one. The farther we get from her initial diagnosis the harder it seems to be back in the hospital again. The anxiety of hearing the MRI results is a feeling that will probably always be present. But being able to leave the hospital after a scan is always a blessing. Abella has continued to make progress in school and more importantly as a person. She is growing and maturing each day and it is a pleasure to watch this positive change. She even earned a singing solo in the Christmas play; we couldn't be prouder parents. The holidays are fast approaching and will certainly be difficult without having our dear Hudson by our side. I think we will skip many annual rituals because the reminders are so many and so difficult. We are thankful for what we have been given: the opportunity to be the parents of two very special and beautiful children. We have carried on this past month through days that were both thick and thin. Although we expected this part of our lives to be filled with challenges, it is more difficult than we ever imagined. We are sad, missing Hudson dearly, remembering just how sweet and silly he always was. We are tested daily to find the strength to "maintain normalcy" and move forward. Abella talks about Hudson all the time and still includes him in many of our conversations. As parents, we are grieving not only for the loss of our son but also for the future of our daughter. Abella will always be monitored closely for many reasons including her current low grade glioma and the possible recurrence of her primary brain tumor. Having these strikes against her makes us realize that we can only live for each moment and truly be grateful for each day. She will have another follow up MRI next week. The three of us have had some really special family times and often go down to the beach to heal and find comfort. The birds that fly overhead, the special shells that wash up and the true blue ocean remind us that our family is still all together...spiritually. Today, Hudson would have turned four years old and we would be Celebrating his Life. But instead, he was given a different path which so many of us will never comprehend. We had a peaceful day today by going to the beach to collect shells, to the cemetery for a balloon release and a remembrance of a truly special boy. As time has passed and the reality has set in, we all mourn at different times and at different levels. We compliment and support each other through difficult days and are accepting that our family life will never be the same. Abella has been doing so well in her new surroundings, started first grade and is now a BIG six year old. She wasn't put on any medication and many physicians feel the best option is to wait and watch. She is amazing...amazing! After nine months of oral chemotherapy, Abella was taken off the medicine in fear of its long term use creating other problems. We are looking into putting her on a bio-agent if it makes sense for both of her types of cancer. So...with change comes worry; but worry is wasteful in times like these. We will continue to monitor her with MRI's every three months. As we mourn the loss of our son; we also mourn the loss of other children who have also lost their battle to cancer. Too many children are in a Fight for their Life and too many children have Lost the Fight. This week is our 10th Annual Soccer For Hope event and it will certainly have a different meaning behind it. We will do our part to give back financially to the hospitals that have cared for our children over the past three years. We come away from camp every year with true gratification knowing we are doing our part; attending to our calling. It is up to us to fund research and educate the community if we want to see change. As we headed back up to Children's Hospital of Los Angeles for Abella's routine MRI, a lot of emotions ran through our veins. Going to LA without Hudson in tow was very difficult; to say the least. We left the hospital having great results for Abella's scan with stability and no sign of the Choroid Plexus Tumor. We needed this break desperately and are so pleased with the good news. Overall she has been doing really well adjusting to our new family life, with just the three of us. I don't think reality has set in that we won't have our sweet Hudson as a friend, as a playmate or as a leader. It almost feels like a holding period and our home just doesn't feel like home anymore. We are grieving parents; giving our best effort to remain in tact while continuing forward and taking on the shortcomings of life. We find it so challenging to write updates since this dramatic change but will certainly not stop at anything to press the issue of one day finding a cure for childhood cancer. As we approached the day of Hudson 's Memorial Service we were all anxious for many reasons. We hoped the service would be worthy enough to represent his life, his struggle and his beauty. We were unbelievably shown by more than 600 people how much Hudson meant to them. We felt everyone's Love wrapping around us during the service which made for an experience unlike any other. Thank you, everyone, who was present for the service or those who were present in spirit. We were carried through the day on the shoulders of our dearest family and friends as well as the support of many who we have never met. We will miss Hudson 's smile, his big baby blues, the sound of his cheerful greetings, the warmth of his hugs and the comfort of his kissies. Our hearts are filled with special keepsakes and these loving memories will be solace for our grief. We learned something new from him everyday and his battle with cancer changed our philosophy of Life. Only through his experience of trial and suffering did our souls strengthen and become enriched. When we were weary Hudson kept our focus on the task ahead while taking on life's most enduring obstacles. He has taught us the meaning of Integrity and to make the painful bearable. His journey will continue to influence thousands of people although he is no longer with us. Hudson 's name will be forever cherished... representing triumph and tragedy. The beauty of his soul will shine on and our dream is to keep that spirit alive. We had the privilege of his presence for only 1,384 days and although he is gone, too soon, his Love will always beat in our hearts. Hudson's Memorial Service will be held on Wednesday, June 25th at 10 am. In lieu of flowers, we are asking for donations to the Hope for Hudson Fund. All proceeds will benefit the Pediatric Brain Tumor Research Fund at Children's Hospital of Los Angeles. Thank you in advance for your consideration. Our family is deeply grieving and mourning the loss of our Hero who has fought a lion's share. He was comfortable and deeply sedated at the time of his passing on Monday June 16th at 8:10pm. We were both holding his hands and telling him it is okay to let go, that we were so proud of him and how much we Love him. We watched his chest rise and fall one last time and we knew he was listening to us as he did not breathe again but did in fact let go. His soul left his body at that moment and he was free. Free from cancer; free from pain. Our sweet Angel will forever be missed and our lives will never be the same. Hudson Wyss... Forever 3! We will post the Memorial Service Information scheduled for next week within a few days. This has been one of the most difficult weeks our family has experienced. Hudson came into the hospital with the possibility of a short stay if we could get the brain swelling and his pain management under control . We tried for several days to use a high dose steroid and had very limited success. The realization of him not coming home has hit us hard. His pain has continued to climb and his comfort has been really difficult to attain. His days have consisted of long periods of sleep and then wakefulness with irritability. The steroid used for the severe edema in his brain also caused Hudson to be restless and sometimes inconsolable. He's had some good moments though of jokes, songs and silly comments but that usually only lasted for minutes at a time. He would then say "ouchie" and "I need a bandaid" because his head hurts. We realize that we only have a limited amount of time left with him but we have had some precious moments together which will remain with us forever. Hudson was admitted to Children's Hospital of Orange County on Monday with severe pain as well as weakness in his left arm. We started seeing changes in his pain on Thursday which led us to increase the dose by 30 percent. His comfort improved but his energy and appetite remained low. He started refusing to take his oral meds by Sunday and would kick, hit and spit out everything that came his way. His body began having withdrawals and he was inconsolable, crying and in a lot of pain. We began giving him IV meds for his pain but the effects only lasted a few hours and then we would be back at the beginning again. We could not find the right combination for him at home and decided that it would be in his best interest to admit him. Hudson was given a CT scan of his brain to see what was causing so much agitation. It showed that he had a lot of edema in his right side and a few new lesions. He still cannot move his left arm and is acting very frustrated and uneasy. He is on a PCA (pain pump) and is getting most of his meds intravenously so he can sleep and recover comfortably. We are hoping he will regain movement in his arm and we have gotten most of his issues under control. We should know more in the next few days which direction we are going and if he will be stable enough to bring him home once again. Over the last few weeks we have been able to reflect on our family's journey. Although the trials are highlighted in our minds so are the victories. Hudson 's incredible gift of love has carried us through this maze daily and our relationship with him has recently grown and evolved tremendously. We have been given more time with him than we ever expected. More time to hold & kiss him, more time to be silly and more time to make memories. For what reason, we believe it to be a time of bonding and family togetherness like we have never experienced. As our lives shift and our paths change, we have come to realize what is truly important. "One word frees us of all the weight and pain in life. That word is Love." Sophocles. Hudson is still fighting so hard everyday to maintain a somewhat normal life. His appearance has changed since he is retaining so much fluid from the steroid and he is off balance from all the weight he has gained. He has fallen a few times and worried us, since he could bleed internally, but thankfully they have only been minor scares. Hudson has needed another blood and two platelet transfusions in the past week which have made for a few long days in the hospital. Right now his favorite pastime is stickers & more stickers along with mini golf in our family room. At times Hudson feels good enough to play and other times he will sit, turn quiet and usually tells us his head hurts. We have upped his pain meds again and the dose is now 20 times higher than where we started. We are so grateful for the many helpful medicines which allow our son to maintain quality of life. Our Hudson continues to amaze us each and everyday and he is still walking around 11 weeks after his recurrence. He is doing so well, all considering, and really felt more energized after today's transfusion. His seizures are under control now and his mind is rarely absent. He is however getting frustrated with how many times a day he has to take medicine. We now have to bargain with a song and a reward to get him to take more than a dozen meds by mouth. It is only expected that he is showing refusal and wanting to have some control in this difficult situation. Hudson started having petit mal seizure this week and was really absent most of the time. He would just stare and looked glazed over until we would call his name and he would come back to us. Each seizure lasts only seconds but we think that he was having more than 50 each day. We added a second anti-seizure medicine to help him regain consciousness and so far it has helped a lot. He is hanging on each day and wants so badly to play but after a few good minutes he is ready to rest again. Hudson needed blood and platelets today which hopefully will keep him comfortable and maybe give him some more good times with us. Abella's MRI this week went very well and we got very good news. There is no sign of the Choroid Plexus tumor and the glioma showed less activity on her MRS scan. We were very pleased with the results from both her scan and blood work which gave us a short sigh of relief. Hudson has shown us new signs that he is in pain so we have again increased his meds. Everyday he gives an incredible amount of effort to remain active and keep up with our busy Abella. He refuses to have a nap but he is slowing down and sleeps more hours during the night. We are constantly evaluating him to make sure he is comfortable and has everything possible to make him feel safe and secure. Hudson has continued to have good moments this week since we put him on a new steroid. The swelling in his brain caused so much pressure which resulted in severe symptoms last week. We are grateful he has stabilized and is more active but as expected, with new medicine comes more side effects. He is very irritable and can be mad one minute and happy the next. He is no longer napping and has a lot of wakefulness during the times he should be resting. We know his days are numbered since the tumor is now estimated to be over seven centimeters wide and pressing against his midline. We have continued to talk with Abella about Hudson 's cancer progressing and started reading books about the lifetimes of animals, plants and people. She is taking to them well but not asking a lot of questions just yet. Abella is scheduled for a routine MRI tomorrow and she won't be happy knowing she will need an IV and be sedated for the tests. It is always a challenge to switch our focus from one brain tumor patient to the other but we find the strength from our two children who have always faced cancer head on. For the past week Hudson has felt okay and only needed occasional breakthrough pain meds. However, this morning he woke up with severe pain and crying and has slept most of the day due to the sedative in his narcotic. Mornings are the most difficult time of day for him since most of the meds have worn off and the pressure in his head is high from lying down. Hudson 's body has started to show obvious signs of his growing brain tumor and it is truly awful to see him struggle. He has rapid tremors in his hands, drooping facial features, swelling, vomiting, and pain. As Hudson 's parents, we find it remarkably difficult knowing the cancer is growing and yet we feel so helpless. We can only monitoring his symptoms to keep each day left in his life as positive as possible. It is absolutely unjust to have fought this battle for so many months and to have the end result be: defeated. The sleepless nights in the hospital, the effort, the worry, the sadness and most of all the crying should not have been our way of life. But it has, and this experience has shaped our family. We must continue on with our fight for Abella and so many other children with cancer because Life is Precious! We all agreed that Hudson should have an MRI of his brain and spine so we have a better idea of where we stand. The unknown is frightening but the known is far more difficult. The scan showed both good and bad news. The good news is the spinal tumors are not growing much which means he shouldn't have back pain or become immobile from it pressing against the spine. The other part of that is the cancer on the lining of the brain has grown very slowly so he is not at a huge risk for seizures. The bad news...the tumor in the left frontal lobe has grown significantly and has begun to bleed. Things could go very quickly from here and we are watching him very closely for severe, acute headaches or unconsciousness. We were not expecting good news to come from this scan and really debated whether to get an MRI in the first place. But it is better knowing where the most prevalent tumor growth has occurred, a timeline and what the outcome will probably be. We met with his oncologist and the neurosurgeon separately and they both remarked how well he was moving his right side considering a massive tumor in his head. He is such an inspiration to so many and always will be. We have continued to adjust Hudson 's meds since he has been having more issues with pain, nausea and dizziness. We seem to have things under control and it is truly a science to find the right combination for him. Hudson 's little body is so sensitive to medicine and he metabolizes it much differently than most people. Even just a small dose of an opiate will cause him to really feel the side effects and become drowsy. This is a good issue to have so we don't have to use such big doses for him to feel better. Hudson's favorite pastime is to be at home with the family. He loves his movies, stuffed animals and always wants his "sissy bella" nearby. He has felt well enough to join in our Art Therapy handprint projects and even good enough to go to the park and play soccer with daddy. Yesterday our family had a great night at the LA Galaxy home opener where the kids got to go down on the field, meet the GM, the new head coach and some of the starting players. Afterwards we watched the game from the suite and Hudson even got a big smile from Victoria Beckham as we were leaving. What a Stud!!! Hudson is still doing okay and is abiding by his own rules; as he always has throughout this entire journey. Hudson's blood counts have remained low and he again needed a blood & platelet transfusion. We were hoping it would give him more energy and strength but it seems as though things have been changing in his body recently. He is more tired, acts more irritable, has thrown up a few times and has needed more pain meds throughout the day. When he does get the narcotics he usually gets hyper or loopy but at least he feels better and continues to laugh and play. We had such a special day today visiting the LAPD Academy and the Air Support Team in downtown Los Angeles. We were given a private session with a Lieutenant in the most challenging unit of SWAT. The kiddos got to dress in bullet proof gear, play in an armored vehicle and even buy fun police memorabilia at the gift shop. Afterwards the Captain of Air Support gave us a tour of the helicopters used to patrol the city and went in the control tower to watch an awesome flyby. A HUGE thank you goes out to the LAPD for making this day so special for the kids. Ever since Hudson 's initial diagnosis he's had so many odds against him. But now he is truly fighting for his life against multiple brain tumors, spinal tumors, MDS or "pre-leukemia, hemophilia and the p53 genetic mutation. What a life this boy has been given with more than 15 centimeters of brain tumor, ten surgeries, 62 radiation treatments to his brain, 11 different chemotherapies, and more drugs than most could handle. It wouldn't be fair to him to give our precious boy any more treatment. We try our best not to look back and we cannot look ahead...we must focus on the present and live for the moment. When he wakes up in the morning we think to ourselves "is this the last day he will be feeling good" or have the desire to engage in activities. This fear lingers and the onset of constant pain that he will soon live with seems too near. Beyond all this he has continued to do well so we have planned many special days for him like going to a paint & glaze shop, beach walks, miniature golfing and even gymnastics training. But most importantly we have all been together and Hudson 's smile is so contagious! Abella understands that Hudson 's cancer has come back and he will spend more time in the hospital. We have explained to her that she needs to try her best to be as nice as possible to him since some days he won't be feeling good. She asked us "what if my cancer comes back" and our hearts absolutely broke. Abella is very savvy and tuned in to what is going on although she does not understand why or what the future holds for herself or her brother. We are working with social workers to make sure all her insecurities will be addressed. The situation we are in is truly confusing to us because he looks so good on the outside but on the inside his body is so sick. We know that each day the cancer cells are reproducing and are slowly spreading. But Hudson is such a strong boy who has lived with pain for so much of his short life. We have always known that his pain tolerance is incredibly high almost to resemble a cartoon superhero. So we have learned to be sensitive to his signs; like looking for a needle in a hay stack. He is amazing in so many ways and we wish we could have him here longer; time is passing too quickly. For the last few days we have been overcome by emotion. We still cannot except that we will lose Hudson but we are realistic in the sense that the cancer has taken residence and is incurable. We are depressed and upset that he has fought so hard for so much of his life and the outcome is incomprehensible. He has overcome so many obstacles and has tirelessly fought his way back to being a healthy boy. We have all put our best foot forward to help him beat this disease and keep him safe from harm and infection. But his little body has been beaten up so many times and the toxic chemotherapies he received have weakened his immune system and ability to fight off this aggressive cancer. We knew his survival rate was in the single digits after two recurrences but we held on to hope. The doctors truly believe it is a miracle how well he has handled such invasive treatment and has continued to grow up and thrive. We are already working with a pain management team to make sure even a headache will be relieved with good medicine... We realize time is precious and every time he says "I Love You", every kiss & every hug he gives us is bittersweet. We are thankful to have some more special time with him before things turn around. Hudson has been a brave soul and will always be remembered to us as a true warrior. He is our hero. Hudson's follow up MRI on Monday was not what we expected -his brain tumor has returned again. It is in multiple areas of his brain and now in his spine. After 2 1/2 years of surgeries, chemotherapies, radiation treatments plus two clinical trials the doctors feel that more treatment is not in Hudson's best interest. This is a battle he cannot win. Abella had an MRI of her brain yesterday and we got good results. There is no sign of the Choriod Plexus tumor and the glioma in the front was unchanged. We were truly relieved and couldn't fathom what our lives would be like if there was any new growth of either tumor. This gives us the go ahead to focus on the bigger issue at hand... Hudson 's Bone Marrow Transplant. City of Hope has received five blood samples from five potential donors and so far has the low resolution typing complete and encouraging. We are waiting on the High Resolution typing which should be finished by next Wednesday. Hudson is scheduled for a follow up MRI of his brain and full spine on Monday. This is a very important factor for his upcoming treatment since many physicians nationwide believe that he is most at risk for recurrence of the cancerous brain tumor than anything else. We will be on edge and very anxious for results while trying to keep our focus on the task ahead of us. To start off, City of Hope has completed the High Resolution HLA typing and found many matches for Hudson. Yeah!!! The next step from here is for the National Marrow Donor Program, based in Minnesota , to contact the requested donors. They initiated their search with 12 donors; all young males and most with the same blood type. The donors will have to get an appointment to have their blood drawn and then ship it to City of Hope to confirm it is a true match. It is always a waiting process and we will just need to be patient until everything is complete. Hopefully we can get Hudson into transplant within four weeks, if everything goes as planned. Hudson will still have to have a lot of pre-BMT work-up (MRI, echo, kidney scan, surgery...) which has to be done within four weeks of transplant. So we are also waiting to schedule these tests until we come closer. The type of chemotherapy we will be using, standard dose or reduced-intensity, will be determined if his organ functions are normal. So basically there is still so much ahead of us and so many decisions to make. Abella has continued to do very well. She only needs to have her blood drawn once a month and it is a peripheral stick since her central line was removed last month. It was drama on Monday when she needed to be poked and since she tensed up she blew the line and we had to stick her again. Thankfully her labs came out great and she won't have to go in again for a month. As these last two weeks have gone by, Hudson 's new diagnosis hasn't gotten any easier. We feel torn over his ongoing treatment and frustrated that his normal childhood is being pushed farther and farther away. There are so many decisions to be finalized in the coming weeks that many physicians across the country have been tirelessly planning. Decisions like which facility, which chemo regiment, Cord blood or Bone Marrow and how soon can all of this take place. It feels like a time bomb counting down on how soon we can get him into transplant before his current MDS changes into leukemia cells. The only reassuring part of this is that Hudson is really doing so well right now. He is Strong! He is energized, happy, eating well, sleeping well and most importantly his mind set is lifted. This is such an asset knowing he will be so weakened from another hard round of chemotherapy. Since his immune system is still suppressed he does have limits on where we can take him. But mostly he enjoys spending time at home, in his comfort zone, and having guests come and visit. As for the Bone Marrow match we are still waiting on final results to come back; the High Resolution part. But City of Hope has found multiple potential matches and have told us they were 99% sure they could find him a perfect match. Percentages are usually out the window for us but we will certainly post immediately the final results as we receive them. As these last few days of waiting have been difficult for us all, it is even harder to realize what is ahead for Hudson . He was diagnosed with Secondary Myelodysplastic Syndrome which was caused by his extensive treatment with radiation therapy and chemotherapy. MDS is also known as "pre-leukemia" where the bone marrow does not function normally by producing enough healthy blood cells. If left untreated it will turn into AML which is even harder to treat. He was also diagnosed with a virus in his bone marrow known as EBV. Many healthy people carry this virus with no symptoms but because of Hudson 's lowered immune response he somehow picked it up. The Doctors believe this is also suppressing his marrow and they feel it is best to wait it out. Hudson will need a Bone Marrow Transplant from a foreign donor and will be given more chemo to wipe out his remaining marrow. We will draw his HLA typing on Monday and begin the process of finding a match for him. We have started the consultation process and are looking into the top pediatric transplant centers nationwide. We are scheduled to meet with the Director for Pediatric Transplants at City of Hope on Monday to discuss our situation. We absolutely have to take into consideration all aspects of treatment from Hudson's long medical history. He will need a lot of new testing done to make sure his body is strong enough to go into a transplant like an echocardiogram, kidney scan, lots of blood work, etc. We have many hurdles to jump over before we reach the actual transplant. Right now we are just finding our way through the dust, again, and trying to put life into perspective. Hudson was immediately scheduled for a Bone Marrow Aspiration and Biopsy today due to his continued low blood counts. As expected, the initial smear came back with some very concerning news; the marrow is producing abnormal cells. There is a slight possibility that it is a virus causing these cells to produce abnormally but the footsteps lead towards this being MDS, or Myelodysplastic Syndrome. This would mean that he will be challenged with a bone marrow disorder and have to go through more intensive treatment. These are our initial results and it could take up to a week to get the final analysis. As you can imagine we are just devastated and saddened to think of our precious Hudson facing yet another battle, and one on a completely different front. He will be followed by the Hematology team more closely now and we are AGAIN exploring all of our options to treat this disorder if yet in fact it does end up being what the doctors fear. Our families' holiday season was overall smooth. We got to enjoy some special time with family & friends and we were so thankful that we didn't have either child in the hospital this holiday. Since both kids are doing well we really got to have many fun-filled days that we haven't gotten to in quite some time. We took a quick family vacation which was so perfect and long awaited. This really gave us a chance to reconnect, relax and laugh. We haven't had a family trip, apart from our medical needs, in over two and a half years and we were grateful for this time together. Hudson's blood counts have continued to remain low and he has needed again a blood transfusion and is still on immune boosting shots. His body is responsive to the shots but as soon as we discontinue them his immune system drops off. We are frustrated that he just cannot sustain his counts two months out of his last treatment and are moving to try something new. We are getting the Hematology team involved and Hudson will probably have a Bone Marrow Aspiration with sedation soon. This should tell us, from the source, what the issue is. So this pushes his central line surgery farther out until he can fully recover. On the other hand, Abella is doing great and was so excited for school to resume. Not because of her love to learn grammar but because she is a social butterfly and misses her friends! Abella had an MRI of her brain yesterday and the results were good. Their was no sign of any re-growth of the Choroid Plexus Carcinoma tumor that was completely removed last March and the low grade glioma sitting in the front was unchanged. Abella could live with the glioma her entire life without worry but we are treating it almost daily with her oral chemo to be on the safe side. It still amazes us that our sweet little girl could have two different cancers in her brain at the same time and we were trying to "kill two birds with one stone" with her high dose chemotherapy. We were again nervous for her MRI since the CPC tumor has presented itself, in Hudson , to be very aggressive. Both of the kids will have follow up MRI's in two months (instead of the usual three) to monitor them closely. We are grateful for these results. We have continued to search for answers for our children's genetic mutation and have sent tumor tissue, blood samples & buccal swabs to hospitals that are leaders in the field of genetic research. We are all trying to understand the triggers of this gene and are hoping that the research being done will someday benefit our family and many other families who carry this same gene. It is draining for the kids to always give blood, etc. but we are hopeful that our turn has come to rest, recover and enjoy this holiday season together at home. Well to start off Hudson had a routine MRI yesterday of his brain and full spine and we got great results. Hudson has no sign of cancer in his brain or spine and we are just thrilled!!! We did have a small scare on Tuesday when he complained of a headache & earache and of course our minds raced. We did have his ears checked and found no sign of any infection. Hudson 's blood counts are still continuing to drop and he has needed blood and more shots to help stimulate his bone marrow. Hudson has been tired from his low counts but overall doing great and progressing. Abella has continued to take her oral chemo now for almost three weeks and is still doing good with it. Her blood counts have held steady & strong but her appetite has decreased slightly. This chemo doesn't cause hair loss and she is so proud watching it growing in. She said she wants her hair to grow longer than princess Jasmine's! Abella also has a routine MRI next Wednesday and she is also scheduled for surgery to remove her central line on December 19th. We are so grateful to have some good results; especially around the holidays. But we are still so involved in follow up care from therapy for both children. MRI's, transfusions, clinic appointments, labs and surgery are all still a BIG part of our lives and we are hoping that our many medical issues will subside as we enter the New Year. We have been spending a lot of time at home all last week and it certainly has been special. When we first arrived back home Hudson 's insecurities held him back from having any fun. He didn't want to engage in any playtime, DVD's, car trips or even his favorite: shooting baskets out front. We were hoping he would just go back to his normal routine when we returned home but it seemed he just wanted to lay in bed a lot and recover. His blood counts were low and he did test positive for a GI infection so that also played a part in his sluggish behavior. He still needs shots to boost his immune system and is on a medicine temporarily for his thyroid replacement. He has, however, come out of his shell and has slowly found his footing. He will now play out front, watch TV, dance, laugh and eat an entire meal. He still puts up a fight when it is bath time or changing out of his pajamas but it is probably the vulnerable aspect he is frightened of. Overall we are pleased with his progress and encouraged to see him happy and moving forward. The team of doctors at CHLA have for the first time in two years and four months decided NOT to put Hudson on any new medicine. He will not be on any type of bio-agent, oral chemo, IV chemo... just a prophylactic antibiotic on the weekends to prevent against bacterial infections. We were very nervous at first and couldn't understand why he isn't going to be on anything. But they have explained that if the cancer cells were this resistant it would grow back over any medicine given at a low dose. After his recurrence this last June Hudson has been through two craniotomies to remove tumor, six weeks of localized Radiation, seven weeks of chemo, a shunt surgery and two Clinical Trial courses using targeted antibody therapy. He has had the kitchen sink thrown at him and now it is time for him to recover. Abella has started her oral chemo which will be daily, Monday thru Friday, with the weekends off. So far she has handled it well with no immediate side effects like nausea or vomiting. We will check her labs weekly for the next month since this can affect her blood counts and she could need transfusions. This new phase for Abella will soon become routine and just be part of her nightly bedtime routine. Hopefully before Christmas we will be able to remove both of the kid's central lines and bath time will again be normal and fun, YEAH! Hudson was admitted on Tuesday and received his fourth and final radioactive antibody treatment on Wednesday. His body hasn't recovered from the last injection and he needed shots to boost his immune system, blood and platelets. He handled the injection just fine and was released on Friday. However, he has been struggling with the psychological aspect of this therapy. It is so emotionally challenging for him to be held down so frequently and stray jacketed for a 30 minute scan. Hudson doesn't have any sense of security from the unstable lifestyle he has led for way too long. With time he will regain that confidence and will start to let go of this emotional baggage. We flew back to California and are hoping to just stay home so we ALL can recover. We are pleased that Hudson was able to complete the very promising clinical trial and are hoping that this was the last step in our quest to cure him! Both kids have clinic visits this week in LA for labs and evaluations and Abella is expected to start her new oral chemo by next week. We arrived in New York on Sunday and both kids enjoyed the plane ride and courtesy limo pick up. Hudson was admitted on Monday evening and received his test dose on Tuesday morning. He has been battling a cold which made for more tests and worry. After multiple scans and shunt taps the doctors were pleased how the medicine flowed through the brain and spine. Hudson is getting a few days off to recover and will be ready for the actual treatment dose next week. Abella has been enjoying New York and gets to spend a lot of time with Grandma at the playrooms, toy stores and parks. We are thankful for the next few days to have some quality family time together. Well no news is good news. We have been busy with trying to transition our lives back to some normalcy and are filling in the gaps that have been left open. Abella is doing just fantastic. She started Kindergarten but slowly with only going two days a week to start. She is enjoying it and the children are being so kind to her by showing her around the classroom and explaining the rules. She also started her gymnastics privates for some physical therapy until she can gain enough strength and confidence to join a regular class. She still has a slight weakness from her post surgery bleeding eight months ago and is about 90% back to normal.Go Abella! Her blood counts have continued to rise and she is gaining more strength daily. She is currently on one medicine on the weekend for now and in a few weeks she will begin yet another phase. She will start her oral chemotherapy and take it just before bed every night for at least one year. Hudson has also been doing great. He had a follow up MRI today of the brain and full spine and it was absolutely unchanged from the last one. This stability is great news and gives us the go ahead to begin his clinical trial course once again. His blood counts have continued to drop from the last treatment but they are mildly beginning to climb. We will fly again to New York next Sunday October 28th and will hopefully return to California on November 9th. Abella will be going with us this time and she is so looking forward to the trip. She will also have a consultation with the oncology team at Sloan-Kettering since her tumor tissue also tested and responded to the same radioactive isotope treatment. Hopefully we will never have to pursue that option and her Choioid Plexus tumor will never come back. Hudson's treatment in New York went very well and we were pleased how fantastic he did. He is such a trooper for all that he has had to endure and if his blood counts hold up we will repeat the treatment later this month. We arrived back in California and went from one hospital to the next for Abella's MRI. Her results were good and there was no sign of the tumor we had removed 8 months ago and the tumor in the front continues to be stable. We will be meeting with our doctors to discuss Abella's next step which most likely will be oral chemotherapy for the next year. She will be starting Kindergarten and gymnastics soon and we are very excited for her to have some normality back. We had a really busy week between hospital visits and spending some quality time with Hudson in New York. We went to a baseball game, the Central Park Zoo and of course took Hudson shopping at all the fantastic toy stores here. We repeated the CSF flow study on Tuesday to make sure that the test dose would be flowing all around his brain and down his spine. We used a different technique this time and the results of the study were good which gave us the green light to inject the actual treatment dose today. We were very nervous and anxious for today since we have prepared and thought about this treatment for the last few months. As always, Hudson has taken the injection well but he will be radioactive for the next few days which means we will have to keep our distance. He will remain admitted and closely watched for the next 48 hours and we are planning on flying home on Tuesday. Abella's next MRI will be on Wednesday and of course we are anxious for her results as well. We arrived in New York safely, got settled in and scoped out the upper eastside of Manhatten where the hospital is located. Hudson has had a long week of tests and scans to prepare him for his actual dose given next week. He was admitted for his test dose on Tuesday and stayed in house for a few days until he cleared the small amount of radioactive antibody. He had his shunt tapped five times and had three CT & PET scans to watch how the dose flowed through the brain. Unfortunately we had a setback with his test dose since it didn't move through his brain and remained mostly in his shunt. They need to flush it through the brain more to help it circulate and end up down his spine. We are sad to think that he will need more tests next week before we can give him the actual dose with a large amount of radioactive fluid. We are looking forward to the weekend and having a few days away from the hospital. Hudson is feeling good and has enough energy to play and explore. We have met some other families who also have left their home town to come to NY for treatment. Some from Texas, Iowa, Michigan and West Virginia all putting the needs of their sick child as priority and making difficult sacrifices. We truly miss Abella but we know she is better off at home with family and friends. She would just be shuffeled around and not get to enjoy time away from the hospital. It is also really difficult to be in a hospital which treats only cancer patients. To see so many young, bald children hooked up and enrolled in clinical trials is heart breaking. This week has been long and tiring but we know we need to revamp, collect ourselves and prepare for the week ahead which will be even longer and more draining than the last. Abella was admitted Sunday afternoon since she spiked a fever and complained of belly pain. So far nothing has grown from her blood cultures which means no major infection occurred. Her immune system has already began to climb and she was released from the hospital today. Congratulations Abella for completing six courses of chemo with so much grace. Hudson's surgery on Tuesday went fine and he was up playing and eating by the afternoon. His MRI on Wednesday was good news and his docs were all pleased with the results. No sign of any new cancer cells and no major bleeding occurred from the surgery. His CSF flow study was performed today and the preliminary results indicated that the fluid is circulating just fine. We will get a final answer tomorrow when he goes back for the last scan. Having both kids admitted at the same time is truly difficult. The hardest part is deciding which child to attend to when they both cry. When we go for a walks on the cancer floor we always get smiles since they are so darn cute. But when other families realize they are brother and sister they just can't believe it and shake their head in disbelief. We anticipated this week to be one of our most difficult and we are glad to be through with it. Between Abella's hospitalization and all of Hudson's tests, we are so pleased with the outcomes of everything. We cannot believe we are flying to New York in three days and are beginning new therapy yet again. We still have a lot to get in order before we leave but we are going with high hopes that this will be the cure for Hudson we have been craving for more than two years! Abella has officially completed her high dose therapy and we are just so proud of her. She handled her chemotherapy very well and received her own stem cells on Tuesday. Her blood counts have bottomed out now and she is fatigued a lot. She is still nauseous and has a very small appetite but we still hook up her IV at home for 12 hours of maintenance fluids daily. She has needed three transfusions of both blood and platelets the past four days but hopefully by the end of this week her body will start making new cells and give her more strength. We are watching her closely since she could at any time be admitted with a fever since her body cannot fight off even the smallest infection. She is happy to know that her hair will grow back soon and she can start Kindergarten in about a month's time. We have continued to finalize the details for our New York trip and are feeling more comfortable about the entire situation. We have met with the neurosurgeon to go over our concerns about his shunt revision this Tuesday, the MRI on Wednesday and the CSF Flow study on Thursday. Needless to say we will be at the hospital a lot this week preparing Hudson for his trial which will begin on September 18th. We have decided to have Abella remain at home and close to CHLA. Her body won't be strong enough to make the trip and she really doesn't want to spend one extra second at the hospital; no matter what city it is in. She will stay at our house with Grandma and will be occupied with other family members and close friends. All three of us will miss her dearly but we will remain close via phone calls and webcams. We have to focus on Hudson's new therapy and watch him closely for any side effects. His hospital stay will be tiring for us and we will need some down time when we change shifts. He will not understand the situation since it will be in a new hospital with new doctors and nurses. But thankfully Hudson's primary doctor will be out there with us in NY for the beginning and should give all of us some comfort. We will be departing in one week from today and will remain in NY for at least two weeks. As our focus shifts daily from one child to the other we will remain dedicated to cure them both of this frustrating and trying disease. We have been in over our heads with decisions for both of our children. We have decided to go ahead with Abella's last course of chemotherapy before we begin a new phase with Hudson . Abella will start chemo today since her body is ready and she has passed all the pre-chemo evaluations. It is so great to be at the end of high dose therapy for her but it is also difficult thinking back that we were many times at this stage with Hudson . We are cautious to say "finished" but we are definitely grateful to have reached this point. Hudson has been accepted to participate in a clinical trial at Memorial Sloan Kettering in New York . Hudson 's trial will inject a radioactive antibody directly into his brain and will kill off all remaining micro cells. He will have two courses of this therapy which means we will be traveling to NY twice. Hudson will need surgery before our trip to change his existing shunt to a programmable one allowing the doctors to turn it off during treatment. Hudson will also have an MRI, PET scan, blood work... before starting. We are still working out all the accommodations, flight arrangements and insurance issues along with deciding whether or not to have Abella come with us or keep her close to home. Although our family is faced with a tremendous amount of stress we are staying focused on the prize; having two healthy children soon. Abella was released from the hospital last week and has recovered quicker than we all expected. Her body's immune system is so strong and fought off the infection within days of being admitted. She has needed some blood and platelet transfusions but overall she is feeling good. Hudson has completed his radiation and chemotherapy! We are just so happy for him to finally finish this difficult therapy and marveled at his charisma and strength. He is really enjoying his mornings now by getting to sleep in late, eat breakfast, watch cartoons and play with his toys. It truly is the simple pleasures in life that give us All joy but it is also difficult to know that these privileges are what a normal child's life should have. We are now focused on the next course of treatment for Hudson . We have been exploring for months the possibility of putting him on a clinical trial which is specific to his rare tumor. After his last brain tumor was resected in June his doctor sent tumor tissue to New York for a trial and his cancer cells responded strongly to this therapy. If we do pursue this treatment it would be in mid September and our family would have to travel to NY short term. This is a very big decision for us but it seems to be our best option. We know that a low dose therapy is just too risky and this very aggressive cancer could return for a fourth time. It has been weighing heavily on our minds recently and this week we are meeting with the team of doctors and the surgeon to go over all aspects of treatment. From the beginning we have promised our children to give them the absolute best possible chance to beat this awful disease even if this takes us to New York . We have come off another long and tiring week with both kids having such complicated therapies that require so much focus. Abella received her own stem cells to help her bone marrow recover and she faired fine with the infusion. She was less nauseous, slept okay and still had energy during the day for the usual crafts. We all agree that she overall handled this course better than the last and for that we are thankful. However, Abella was admitted to the hospital last Thursday morning due to a spiked fever and increased throwing up. She was in a lot of pain due to typhlitis (or inflammation of the bowel) and needed to be closely monitored. She was given an X-ray of her abdomen to look for any blockage which could have been severe. She was given morphine and Tylenol every four hours which really takes the edge off the pain and calmed her fever. Her dose is so small that it doesn't knock her out or cause her to hallucinate; it just takes away the pain. Abella was put on two broad spectrum antibiotics and an anti fungal to hopefully take care of it. We are waiting on her blood counts to recover so she can heal and fight the infection. She was hospitalized only one day before her 5th birthday and we were so sad for her. But we did our best to bring her celebration to the hospital. We reserved the Conference room for a special Fairy Princess to come and take her mind off the situation. The nurses all came in and sang to her and she pretended to blow out the candles since we weren't allowed to light them. Just being out of the room was good for her and us. Hudson only has four days left of Radiation and chemo which went almost seven weeks long. Both kids needed blood transfusions this week and it feels so strange to see them hooked up and needing therapy side by side. I don't think we will ever feel comfortable seeing them both endure such aggressive treatment. Hopefully Abella will be discharged by mid week and we can all catch up on some rest and make up for some long awaited family time. Abella began her fifth round of chemotherapy today and is doing well tonight. She is an outpatient for the first time during treatment which means more focus to detail for us. She is receiving a type of chemo which can burn her skin if excreted through the pores. She cannot be in the sun, have any tape on her skin and needs multiple baths through the day until she clears this from her system. She will have one more day of chemo and will receive her stem cells on Friday to help her marrow recover. Hudson has now reached the half way point for his daily radiation therapy and chemotherapy. He had a great weekend at home and is eating and sleeping very well now. His spirits have lifted and is usually in a great mood. We are thankful for this change and for his own well being. Since Abella's treatment was pushed back our family took the opportunity last week and went to Disneyland for a few hours. This was Abella's birthday request and since her body won't be recovered by her birthday, August 10th, we decided to give her an early gift. She is truly a daredevil only wanting to go on Space Mountain, the Materhorn or any other fast roller coaster. We all needed this opportunity to laugh and enjoy ourselves since the next few weeks will be spent mostly at the hospital. We have all been very busy and are still juggling things everyday. The team of doctors has decided to postpone the start of Abella's fifth round of chemo since her body still hasn't fully recovered from her last round. They are afraid that if they hit her marrow with chemo again she could have an extended hospital stay. We all agree that waiting it out is better for Abella's body. She has been such a help with her brother this week by helping him and always including him in her special play dates. Hudson has not been feeling well and has let everyone know it. He is tired a lot and is not getting enough sleep each day. He is not eating much so his energy is low. And he is just struggling with the fact that he feels punky all the time. We are doing our best to just grin and bear it but to say the least it has not been easy recently. The weekends come around and we do seem to catch up on some rest and nutrition. We are thankful to have two days off a week to recuperate. To say the least our family has come off a long and tiring week. As we all adjust to the new schedule and daily commute to LA we are beginning to realize what we are headed for. This week we juggled radiation therapy, chemotherapy, clinic appointments, lab work and transfusions between the two kids. This last round of chemo was very difficult for Abella's body to recover from. Her blood counts are still sluggish and her body has needed transfusions. She should be on her way up since we are three weeks out of chemo and hopefully she will get to have some fun before starting again. Hudson is not too happy about his daily sedations and has had a difficult week as he also remembers this difficult treatment. His blood counts are now dropping from the chemo and he has also needed a blood transfusion. He is tired a lot but also happy to be able to come home and sleep in his own bed. We are accepting this situation but we are frustrated for our children who can't understand why we have to keep going back again and again. An answer for them is beyond all our imagination and we can't change what we have been given. We get through each day trying to stay positive and with our spirits lifted. We are the example our children follow and we will lead this fight with an iron fist. Thankfully, Abella and Hudson were both released from the hospital on the same day last week. We had a few busy days together with lots of medicines due throughout the days and nights. Abella's blood counts still have not picked up yet and she had to be readmitted on Sunday since she spiked a fever. She is not feeling well and is scared to eat since she is still battling nausea and cramping. Hudson started his chemo today as an outpatient and handled it well. We are truly sad for him as he begins therapy yet again and we know it will be very aggressive. He will be given chemo and radiation simultaneously which will be very tiring for him. Hudson will have his radiation planning phase this week and will be fitted again for a new bite block, head rest and have scans to map out his treatment. Abella received her first stem cell transplant today following two days of chemo. She has handled the chemo with some bouts of nausea but overall is doing fine. We were all nervous for her transplant but she is resting just fine tonight. The chemo has already hit her blood counts hard and she will need some transfusions this week. Hudson is amazing! He is already walking around the floor giving hugs and flirting with the nurses. His second surgery was only five days ago and he has handled it like a champ! He is set to start his new chemotherapy next Monday followed by 6 weeks of localized radiation treatment. For now we are taking day by day and will hopefully be sent home soon to rest and recover before starting the next phase again. We finally had some encouraging MRI results. The surgeon was able to completely remove the remaining tumor. Hudson's recovery from his surgeries are astonishing and he is already playing and has an appetiet for "pizza"! Since Abella got admitted for her chemo today, our entire family is sharing now a room on the solid tumor floor. We are calling it the "Wyss residence at CHLA" since we will be spending the next week together here. Hudson's surgery lasted 2 1/2 hours today and is believed to be a success. The surgeon removed the small tumor and some of the lining around it. Hudson is having a lot of swelling but is talking and sitting up watching his videos. We are hoping the follow up MRI will be a clean scan! He truly is a fighter and has the entire hospital wrapped around his finger! Tomorrow Abella will be starting her strongest round of chemo yet. We will trade off our time between the ICU and the solid tumor floor to spend equal time with Abella and Hudson. Hudson's follow up MRI came with unfortunate results. There is a 1cm tumor that was seperate from the mass that was removed yesterday. The surgeon was unable to see the tumor because it was surronded by normal brain. Hudson will have surgery tomorrow at noon to hopefully remove it all. It is in the same location and surgery site as before which should make the procedure go smoothly. Hudson had a long, four hour successful surgery. The surgeon removed all visable tumor and was pleased with the procedure. Hudson also had a central line placed for upcoming treatment. We are content with the outcome of the surgery and are hopeful for his continued improvement. Hudson will recover in the PICU for the next few days. With great sadness we have to inform you that Hudson's MRI results today showed a 5cm tumor in a new location in his brain . We are scheduled to have brain surgery first thing on Monday morning to remove it. We will postpone the start of Abella's 4th round of chemo for a couple of days. We will find a way to balance this new challenge and continue to give both of our children our best. Abella's MRI went fine and the results were good, stability. Her blood counts have almost fully recovered and she is so full of energy. She is still scheduled to start chemo on June 11th and will get her stem cell rescue on the 15th. However, Hudson is still having some stomach trouble. He is still irritable, eating very little, and sleeps a lot. We are trying to push up his MRI to the end of this week to see what the problem is. Hopefully we can determine the cause or change the current medicines he is on. Most signs point to his abdomen instead of his brain, but we will hopefully find out soon and have some assuring results. Our family has come through a long and difficult week. Hudson has been having some stomach issues (possibly nausea or cramping) with his bio-medicine and has worried us a lot. We are trying to determine if this is from the medicine itself or something else. We are changing a few things to see if anything helps and have added another medicine. Abella needed three transfusions and is still extremely bruised up from her low platelets. But she is in great spirits and did get to have some fun this week. Since her immune system is so strong right now we took the opportunity to visit a family's private zoo in OC. Abella's favorites were the baby giraffe, the swans and riding on the giant turtles. Animals are such a source of joy for her and it truly was touching to see her so happy. Abella will have a brain MRI on June 4th and will start her first stem cell transplant cycle on June 11th. Abella was admitted for her third round of chemotherapy and came out after just four days. She did just fantastic and came home energized and eating. She had a very special visit one afternoon from Princess Cinderella and one of Abella's close friends. All three were dressed to a T and read stories, sang songs, and even got their faces painted. That afternoon was just perfect and ever so magical. Our little Abella has adjusted so well to the hospital stays and now tells the Docs all by herself how her night was, how she is feeling and that she wants some medicine when her tummy hurts. She has grown up and matured so much in the last three months it is surprising. We all are adjusting to this new phase in our lives and have realized to take advantage of the times when she is strong and eager. In the past few weeks our family has done things that we have wanted to do for some time now. We went for a morning beach walk to collect shells, we took a day trip to a theme park, and Abella even had a private gymnastics session with her former coach. We are learning to make each day special in some small, or big, way and to not let life pass us by. The week ahead will be rough but we are anticipating her body to have low blood counts, fatigue, and needing transfusions. Today our family spent the day down at Sea World in San Diego. It was so special to see both the kids so excited and connecting with all the animals. Holding starfish, feeding seals and seeing Shamu splash the audience were just some of the highlights. This was the first time either of the kids had been there and it truly was memorable. On Thursday, a reporter from CBS/KCAL came over to interview our family about our story. We were touched when they contacted us and showed interest in our drive to cure our children and raise awareness. Abella has been doing fantastic! She managed to stay out of the hospital this course, so far, and her blood counts are on their way up. We are back home again in OC and are planning a few fun day trips before we start again in two weeks. Hudson is probably the most excited from all of us and is so eager to play with his toys, his boat bed and his soccer goal in the backyard. On April 28th The Gifts of Love community garage sale was so amazing and went way beyond everyone's expectations. The community's moral and financial support for our family was so kind and heartfelt. So many people who our family didn't even know came out and volunteered their time and effort to make this event possible. To say the least, we are so grateful for the outreach and love shown for both of our children! Abella has completed her stem cell collection today and has put out an enormous amount of cells. Her body has given enough cells for multiple transplants but for now she is scheduled for three to come in a few months. To say the least, her body is tired from the long days in the hospital, daily shots, meds and multiple transfusions. The most difficult challenge we faced this week was when her princess hair began to fall out. At first it was just a little so we cut it short. But soon after it really got annoying and in her way so we decided it was now time to shaved it all off. She still has a hard time looking in the mirror and tells us she "didn't want this to happen". We have talked about it a lot and have read a few books about other children who have lost their hair and now get to wear fun hats. To help her through this Abella got to shave daddy's head so they will be twins! She was discharged today since her body has mostly recovered from her first treatment and will hopefully get to stay home (in OC) for Easter. In different ways, it is exciting for each one of us to be home until she will start her next round April 16. Abella has been doing well at home until yesterday when she had to be admitted into the hospital due to a high fever and extremely low white blood counts. She is receiving a shot in her leg daily to help boost her immune system. She is mad that she has to get it and let's the enitre neighborhood know! Hudson was really enjoying having Abella home for a couple of days. He would wake up from his mid-day nap and call out "Abella" and run to her for a big hug. Hudson likes going to the park daily and works on his soccer skills with daddy. Depending on her recovery we are gearing up for Abella's stem cell collection over 3 days late next week. Abella has handled her first chemo cycle better than expected. She only had one night with extreme nausea but it is under control now. Abella has spent the last 4 days in the hospital resting, coloring and playing games. Today we were able to go to our apartment in Los Angeles where we will have to watch her closely. The biggest challenge we are facing with her, besides losing her princess hair, is explaining to her that this will go on for the next 6 months. Hudson is adjusting just fine and has recently begun his preventative treatment medicine. His neuro evaluation was normal and he is enjoying coming to the hospital as a "visitor" and not as a "patient"! Today's results were great on all ends. First off, Hudson's MRI of the Brain and Spine were fantastic with no new spots and more shrinkage of the existing tumors. We feel confident that Hudson will continue to thrive while his sister is beginning her treatment. Abella's kidney scan and hearing evaluation were both perfect and she is now cleared to begin her six month course of chemotherapy. She will start treatment on Monday for a four day admit and a stem cell collection in three weeks for her transplants. We are so grateful she will get another weekend at home to recover and work on building strength in her leg and arm. To go from complete paralysis of the right side to walking on her own in just one week shows her eagerness to overcome this. We are thankful for such a positive day and are optimistic about the coming months. Abella has made tremendous strides yesterday by her ability to move her arm and leg. She came out of the woodwork and has given her best effort for recovery. Today she can sit up without support, wave her hand and stand with some weight on both legs. She has amazed us all by her continued progress and will get to come home later today. She will need physical therapy daily for the next month or so to strengthen her motor skills. We are so in awe of the strength she has shown during such frustrating and trying times. To come home so soon after having brain surgery and post surgery complications shows us she is ready and up for the fight. She understands now what will happen in the next few months and has been asking a lot of questions. No parent can ever really answer the question of 'why' this has happened to their own child but we can stay positive and do our best to downplay this traumatic experience. Our family togetherness will be special this week, especially for Hudson who constantly asks 'where'd Abella go'? And Abella will have a chance to recharge at home for a week before we begin high-dose chemotherapy. Abella has been moved out of ICU and up to the surgery recovery floor. She has regained some strength in her arm and leg. The Neuro-surgeons expect her to make a full recovery with some physical therapy. Abella has been sitting up, eating complete meals and is often asking when she can come home. The final pathology came back and as expected the tumor removed is a CPC. Her chemotherapy won't begin for a few weeks so Abella will have some time to rest and recover. Hudson is doing great and is adjusting to the change in family life. This week he will have a 4 hour Neuro-Psych evalution to assure he is meeting all the childhood developmental milestones. Please continue to keep Hudson in your prayers as he also has a MRI in 10 days. Abella has had a little setback in her recovery from surgery. After being released from the Itensive Care Unit (ICU) on Wednesday night she had to be moved back to the ICU due to lack of feeling on her right side of the body. The CT scan showed some post operative swelling and bleeding in her brain which has caused this hopefully just temporary loss of feeling in her right arm and leg. The doctors will be watching her closely over the next few days where we are optimistic to see some progress in her movement and spirit. Abella came through the operation with flying colors! The tumor was removed with a complete resection and she is now in recovery. The next step is to analyze the type of tumor and determine the appropriate chemotherapy. Thank you all for your thoughts and prayers. We have gotten through this week with the support and encouragement everyone has so generously given. The weeks and months ahead seem uncertain with many highs and lows but our family has been accustomed to that lately. As many of you know, Abella's stubborn personality will carry her through this because she too is tough as nails and more competitive than her Daddy! She will follow in Hudson's footsteps and show us her own fighter spirit. Hudson is the bravest person we know and has conquered every circumstance he has faced. He has never allowed the shortcomings of life beat him and we are convinced our sweet Abella will do just the same. Abella's surgery is scheduled for the morning of Tuesday, February 27 and until then we will continue to try and make the most of our situation. Thank you for your prayers. This update comes as a surprise as our lives have again been turned upside down. Hudson is doing so fantastic but his older sister, Abella age 4, is about to travel a similar path that Hudson has faced. When Hudson's tumor recurred last April his Neuro-Oncologist suggested we test him for the cancer gene, called the p53, which is associated with his type of tumor. Hudson's results came back positive for the gene so we decided to test ourselves and Abella. Unfortunately Abella's results came back positive as well and we only recently started actively screening her with a physical, blood work and a brain MRI. Today as our worst fears have come true both of Abella's MRI's have shown there is not only one but two small brain tumors. We have been told that one is a Choroid Plexus Carcinoma (same as Hudson's) and another small lesion called a Low Grade Glioma. The rarity of the CPC is less than a dozen cases yearly and she will need a craniotomy (brain surgery) to remove that one. The other small tumor we will use chemotherapy to combat. There are no words to describe how devastated we feel as parents to now have two children who fight cancerous brain tumors. As all of you have followed Hudson's long journey to stability, we are only at the beginning stages for Abella. We are scheduled to meet with the Neuro Surgeon at CHLA on Monday to plan a day for surgery and have many questions answered We anticipate post surgery chemotherapies to treat both tumors and will learn more about her protocol in the coming week. As for now Abella has no symptoms, complaints or developmental delays. She is a happy, healthy four year old who loves school, her gymnastics, and "every animal in the world." The emotion that goes into dealing with such a traumatic future for a four year old is heart breaking. We will do our best to tell Abella what to expect next week with the example of Hudson, books and involving the Child Life specialists at CHLA. If you could please pray for both Abella and Hudson who have been given a childhood no one should ever have. And please keep us in your thoughts as we battle to understand the meaning behind all of this. The road ahead is confusing, frustrating, and unimaginable but we promise to give our two children the best possible life we can give. Thank you for your love and support that always keeps us encouraged. We are so excited to share with you Hudson's MRI results from today. For the first time since May of last year, we had actual shrinkage of the tumor Hudson has battled. Also there is no sign of any new growth in the brain or spine which is so important especially since he has been off chemo and radiation theraphy for some time. A huge burden has been lifted from our shoulders and we are so thrilled for our Hudson that he will be given the chance to enjoy a healthier life. Hudson will have his central line removed, begin a new bio medicine for prevention and is scheduled for another MRI in eight weeks. In the meantime we are looking forward to seeing him smile and play at home with his best friend & sister Abella. Hudson has completed his radiation therapy treatment. We are just so relieved this phase has ended because the past seven weeks have not been easy for our family. He has grown up a lot recently and wants to be Mr. Independent by making his own decisions! He is happy and is enjoying some well deserved down time of rest and recovery. Hudson won't start his new preventetive bio-medicine until after his next MRI on January 15th. Until then we are looking forward to some family togetherness at home which we have missed out on. Please pray that this was the final phase in Hudson's treatment and that he will be cured of his cancer that he has battled for the past 16 months. Our family would like to wish all of you a very special Holiday season and we are grateful for all of your ongoing support! Hudson is truly an inspiration to us and this new treatment has been a test of his courage to fight such a challenging battle. He has proven to be lion-hearted by showing us daily just how brave he is. Please keep him in your prayers that his endurance will continue. All in all, we truly are so blessed to have such jovial children who love and care for each other abundantly. Please continue to keep our family in your prayers that we will remain strong and close through this new phase. Thank you, once again, for your ongoing love and encouragement amidst such rough waters. Hudson has completed his second stem cell transplant and it was by far his most toxic cycle. His blood counts are still sluggish after 4 weeks and he is just finally showing signs of recovery. Today, he had an MRI which showed again the same stability as we have seen for the last few months. After contemplating all options with our doctors we have decided that a third cycle of chemotherapy with a stem cell rescue would not be in Hudson's best interest. The chemotherapy has given us 5 months of stability but to ultimately cure Hudson of his residual tumors we have to move forward. Hudson's tumor (Choroid Plexus Carcinoma) is known to respond to localized radiation therapy and we have decided to take this step. This is truly a difficult decision for us but we are convinced that this will maximize his chances for longtime cure and survival. There are many important details that still need to be worked out including type of radiation, choosing the right specialist and hospital. We have already started the process of obtaining medical advice through consultations specific to Hudson's case from LA to Boston to Switzerland! The average pediatric radiation treatment lasts 6 - 8 weeks, 5 days a week which will be done as an outpatient. Please keep our family in your prayers as Hudson's treatment will begin within the next few weeks. Hudson's MRI showed that his tumors are "rock solid stable" which for 4 months in a row is a good result! Hudson's is coming off one of his best weeks ever, participating each day at the Soccer For Hope camp and running around with full energy! We are adding a third chemo to his regiment which we will be starting tomorrow again. He is scheduled to receive his stem cell transplant on Monday as this will be his hardest cycle yet. The Medical Team at CHLA is delighted with his MRI results which gives us great comfort in moving forward! Please keep him in your prayers as he receives and recovers from this month's chemo cycle. Hudson's MRI results are the same as last month which means the tumors are stable. Honestly, we were hoping for some shrinkage but stable with his kind of tumor is always a good result Hudson has done well this last month and he keeps taking on his daily challenges with a big smile! We are moving forward next week with an additional chemo therapy which is very damaging to his bone marrow but has shown great results in the past with brain tumors. He will be receiving his own stem cells to rescue his bone marrow for the next 2 or 3 chemo cycles. We are hopeful that our next MRI in August will show continued progress in our goal to cure Hudson! Thank you for thinking of our family and for keeping us in your prayers. Hudson's MRI results on Thursday showed that his tumors are stable, which is a good result and a step in the right direction. His current chemo protocol is responding and we are hopeful that with an increased dosage of the same chemo this next month we should see the tumors shrinking. Our family is very encouraged by today's news and gained new strength for the upcoming months of treatment. The plan is to harvest his stem cells this next cycle and use them for a tandem bone marrow transplant to complete his treatments. Hudson has recovered remarkably well from his last chemo and he is walking, talking and progressing daily to all of our amazement. Thank you all for your love and encouragement! We apologize for the delay of an official Hudson update but we have temporarily moved to Hollywood to be closer to the Children's Hospital. Unfortunately this week's MRI results were not what we expected and his current tumor has progressed and there are also two small new spots. This changes the course of treatment and Hudson will be starting a new chemo regimen this Tuesday. He continues to recover from the last round and is finding joy being out of the hospital for a few days. Hudson is trying to walk again and his little laughs are priceless which give us continued strength to move ahead! Thank you once again to all of you for your endless support; it is truly special to our family! Hudson had brain surgery to remove a large 4cm tumor but unfortunately there was a second smaller tumor which the surgeons were not able to get to without risking severe brain damage. Yesterday, Hudson had surgery to install a shunt (to help channel the brain fluid), a new central line for chemo therapy and a spinal tap. Hudson is recovering well from his surgeries and we are encouraged by his progress so far. Starting this Wednesday, Hudson will have to undergo a very aggressive chemo regimen to rid his brain of the remaining tumor. Depending on the response to the treatment he will continue with future cycles. Due to the fact that Hudson's tumor and recurrence location are so rare there is not a standard chemo protocol for choroid plexus carcinoma tumors. We completely trust Dr. Finlay's new approach to treat Hudson and bring him into remission once again. It is a very difficult time for our family and we are very appreciative of all of your continued support. Hudson is 19 months old and he shows all of us the definition of courage every day! With great sadness and disbelieve we have to inform you that Hudson's tumor has come back. We brought Hudson to the see his doctor today due to him having trouble with his balance and coordination. The results of his CT Scan showed that the tumor has grown back to the same size but is now at a different location. He is scheduled for an MRI tomorrow morning and to have brain surgery to remove the tumor in the afternoon. We all are in shock but wanted to inform you to please keep Hudson and our family in your prayers!